DIY Argan Oil Hair Mask Review: The Ultimate Hair Helper! You’ve seen it featured in skin and hair products everywhere. You’ve seen it mentioned in beauty blogs, at your local Whole Foods, and at just about every health-conscious place you can think of. So, what exactly is the deal with Argan Oil? A skin and hair savior, argan oil is one of the most popular personal care oils around thanks to its healing and restorative properties. I’d heard about it in passing a while ago but didn’t actually go out and give it a try until recently – I was quickly sold on its multi-faceted benefits. Hair Masks On Sale Now! Stick around for a little background on this oil, a look into its many advantages for skin, hair and anti-ageing, a transformative hair mask DIY recipe, and more here in our DIY Argan Oil Hair Mask Review! 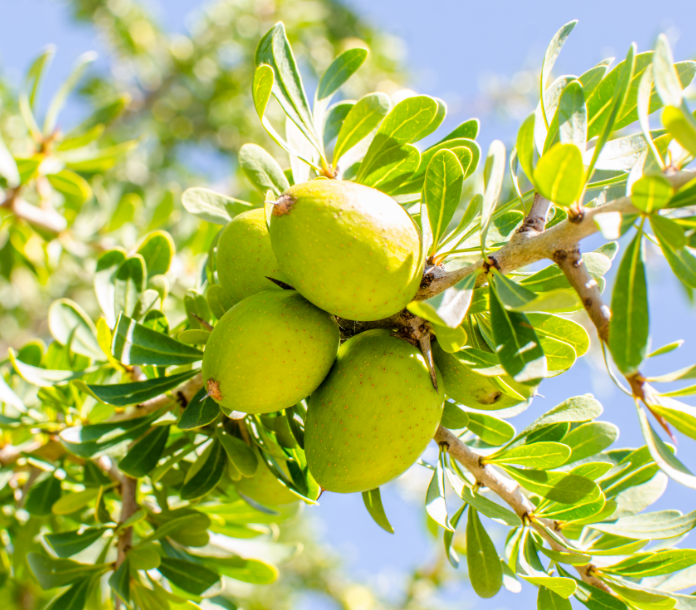 Argan oil is derived from the fruit of an argan tree, which is native to Morocco. In its native land, argan oil is something of a national treasure. The Moroccans extract the nutrient-rich oil from the kernels in the center of the fruit and feed the rest to their animals. Moroccans incorporate the oil into their diet and count it as a staple cosmetic ingredient. In the last fifty years alone, the amount of trees in the argan forest has gone down by two thirds. Great measures have been taken in order to protect the argan, as well as the region’s ecosystem by extension. 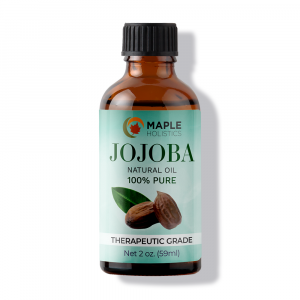 This oil is precious and that is why it can be more expensive than other oils, but a little of this goes a long way! There is a lot that one small bottle of argan oil can accomplish. The West has only recently begun to learn about the many cosmetic abilities of argan oil, but it has been the secret skin weapon of Moroccan women for hundreds of years. Argan oil can address a variety of skin imperfections such as dryness, breakouts and signs of ageing. It is suitable for virtually any skin type – consult your physician if your skin is particularly sensitive. Phenolic compounds, a form of antioxidants, are present in argan oil. These compounds are also a known antimicrobial, meaning they are capable of preventing infection. Argan Oil is also rich in Vitamin A (via carotene), which firms and brightens the skin and naturally slows the breakdown of collagen and elastin. This makes for youthful, bright skin! Say bye-bye, wrinkles! Now, folks who suffer from acne wouldn’t generally think that an oil could improve the situation, but argan oil isn’t your everyday oil. Argan oil actually reduces sebum levels in the oil, and the linoleic acid found in the oil calms inflammation caused by acne. Boom! All of these great properties and qualities of argan oil are inherently beneficial for your hair, too! 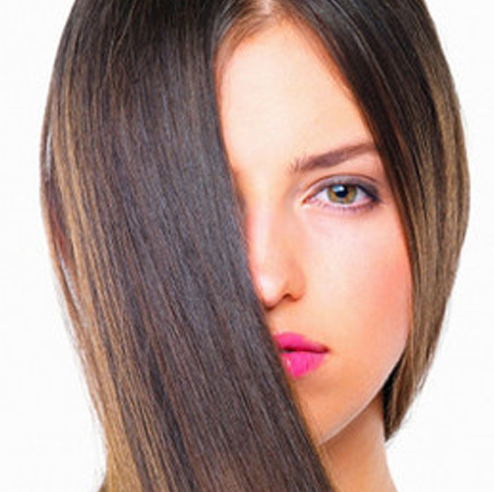 The oil is often used to smooth away frizz, leaving hair glossy and shiny. 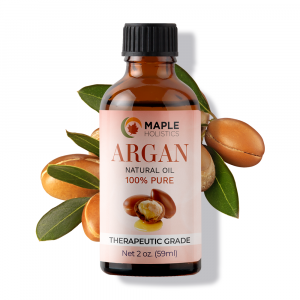 The natural phenols found in argan oil are great for healthier hair follicles, and the moisturizing properties soften hair, leaving it looking fresh and inviting. Argan oil can even reduce damage and help repair split ends. Next time you’re about to go to the salon and chop off your damaged ends that took forever to grown out, try a few argan hair masks first. You may just get to hold onto those long locks after all! A hair mask is a tool you could use in your arsenal of hair care products if you want shampoo commercial-worthy, shiny, healthy hair. You know how conditioner bottles always recommend you leave the product on your hair for 3-5 minutes for it to work best? Conditioning products take time to penetrate the hair follicles and actually repair or soften the hair. Hair masks are a perfect way to get some deep-conditioning done in order to achieve a silky hair texture. There are some really great masks available for purchase, but they’re so easy to make yourself with items you probably have lying around your house (eggs, coconut oil, olive oil and natural honey to name a few), so why not go the DIY route? You might want to change these amounts (while using the 2:1:1 ratio) in order to accommodate very long or short hair. If you have extra, you can always store it in an airtight jar to conveniently have on hand. Whisk all of the ingredients together. If you’re using coconut oil or honey that is thick and difficult to mix, use a blender or warm everything up together in a saucepan for easier mixing. Make sure to use an extremely low flame so as not to cook out any of the nutrients. Warming up the ingredients does add an extra step to the process, and isn’t totally necessary, but heat opens up the hair cuticle and pores so that moisturizing oils can seep into the hair and scalp for maximum effectiveness. Apply the mask evenly over your hair, section by section, and massage it into your scalp. Focus on your ends to help manage damaged, split-ends, and on your scalp to stimulate healthy hair growth. If you’re having trouble distributing evenly, comb through your hair after applying. You can tie your hair in a bun to keep the grease out of your face, and cover your head with a shower cap to trap body heat. This will keep the mask warm and make the nutrients and moisture more easily absorbed. I recently decided to go blonde to shake things up a bit, and I’m loving the change from my mousy brown hair. What I’m not loving, though, is the crazy effect it has had on my hair! My split ends are out of control, and my curly hair is even drier and frizzier than usual. My sister, who has been dyeing and straightening her hair for ages, recommended that I try out argan oil and I’ve been obsessed ever since. I experimented with a few different masks and apply a little bit to the ends of my hair after showering, and I’ve seen a dramatic change in my hair. My split ends are much less noticeable and my hair is so, so soft! I also use it as a moisturizer, and the benefits it offers my skin are a very welcome bonus. Try An Avocado Hair Mask While You’re At It! 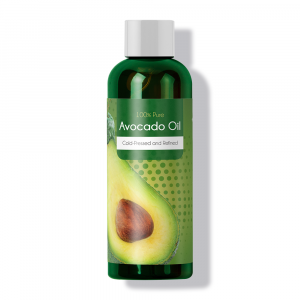 Although it may seem surprising to some, avocado oil is one of the most popular natural ingredients in hair and skin care products these days. 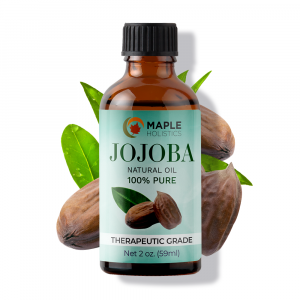 This is largely due to the rich amount of nutrients and vitamins that are contained in this potent natural oil. 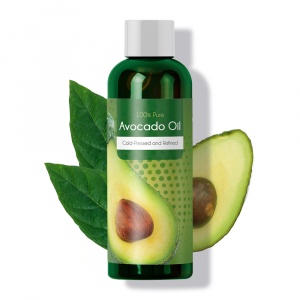 Some of the vitamin’s in avocado oil include A, D, B, and E. The oil is also rich in amino acids, oleic acids and natural proteins which are all incredibly helpful for our skin and hair. Vitamin E and A are particularly good at nourishing our hair due to their high carotene count. These molecules are important for nourishing our hair follicles and make up a large percentage of what the follicles actually consist of. Besides this, they also help to keep the hair follicles hydrated and protected against the elements (wind and sun damage) and will encourage stronger, healthier hair growth. So here’s a link to really simple DIY avocado hair mask that I definitely recommend trying out. 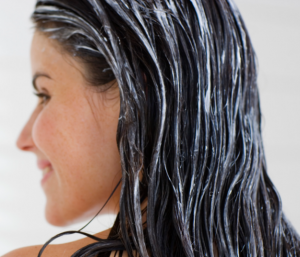 It’s cheap and really easy to make – not to forget, incredibly good for your hair. There are a lot of different hair masks out there – but an avocado mask should definitely be at the top of your list. It’s a personal favorite and one I recommend to all my friends and family. While you’re here at Maple, check out our Lush, Dove, Vichy, and Nivea brand and product reviews! There is seemingly no limit to the number of ways you can use argan oil in order to give you the best skin of your life. It softens chapped or cracked lips, hydrates and softens hands and feet, is an amazing whole-body moisturizer, and is lightweight enough to be used as a leave-in conditioner (just don’t use too much!). Add a few drops to your facial toner to give your skin that added nourishing boost, or warm up a few drops between your palms and apply it to your face as an incredible moisturizer. Use argan as an after-shave to prevent and heal razor bumps. Because it protects the skin’s elasticity, argan is a perfect tool for preventing stretch marks, and it can even help reduce the appearance of existing marks. I also like to mix a drop into my foundation, which gives me an even more natural, glowing look! This trick is especially useful in the winter time, when makeup can look a bit patchy because the skin becomes dried out. However you choose to use this incredible oil, I’m sure you’ll enjoy its amazing health and cosmetic benefits like I certainly have!